Following the demise of the class 47 locomotive hauled train in 2002 all cross country express passenger services were operated by classes 220 and 221 'Voyager' diesel multiple units. 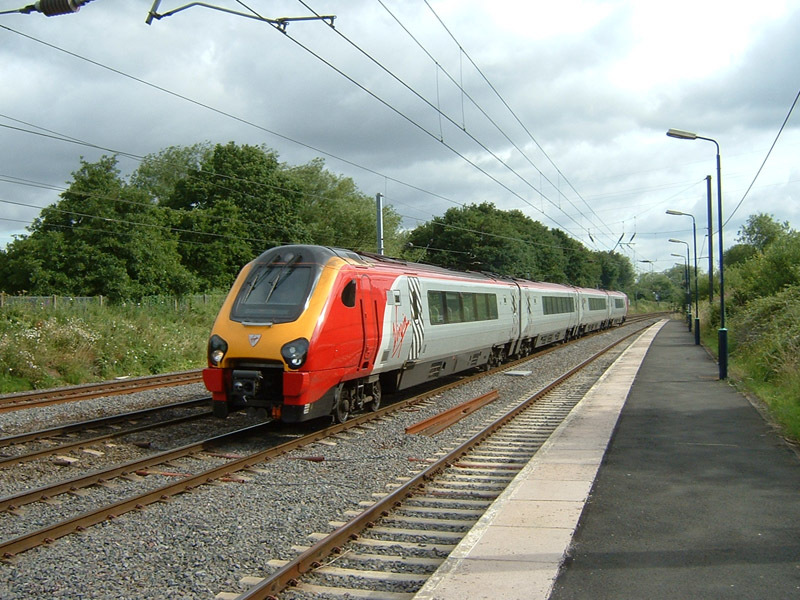 The class 220 units contained only four carriages and many passengers found the seating arrangements totally unsatisfactory when compared to the Mark 2 carriages previously used on these services. This is class 220 No.220022 'Brighton Voyager' at Longbridge on 11th July 2003. EWS Railway livery class 37 locomotive No.37503 has charge of the morning service from Didcot to Ashchurch. 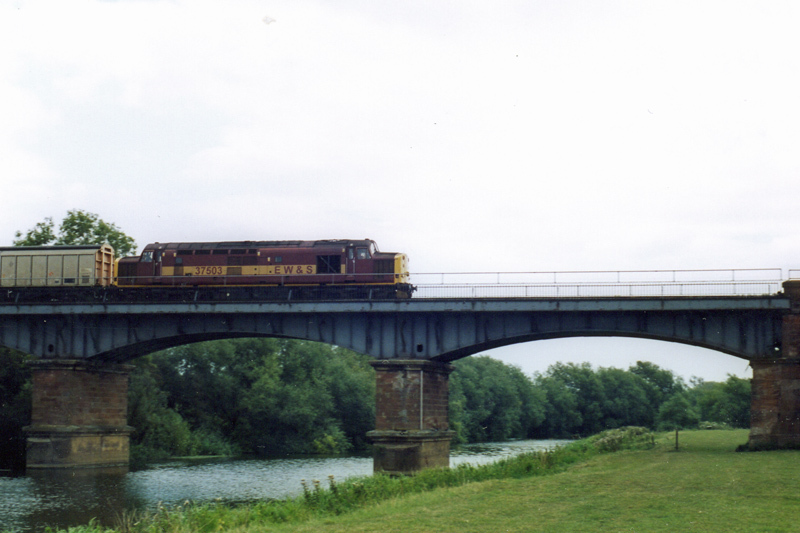 The train, comprised of VGA covered wagons containing stores for the Ministry of Defence, is seen crossing the bridge over the River Avon at Eckington on 18th August 2003. 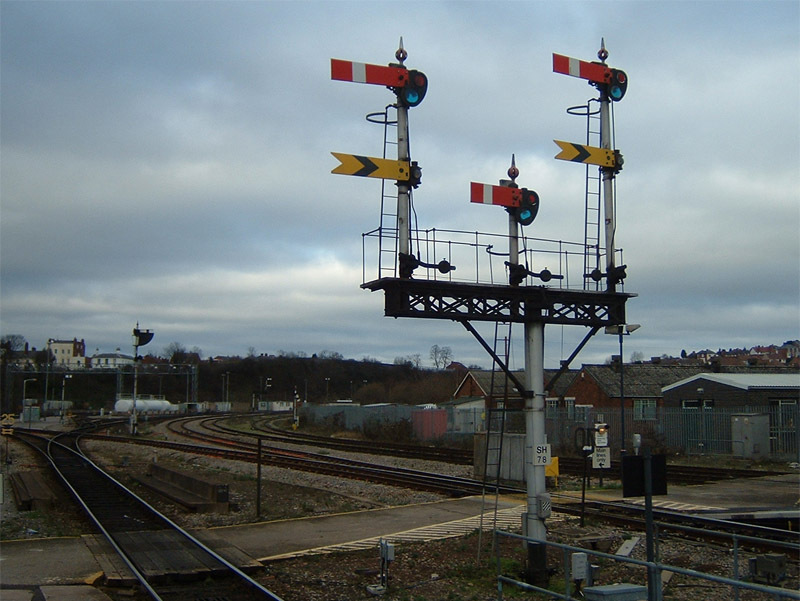 On 24th December 2003 a brief visit to Worcester Shrub Hill Station reveals only empty sidings at the fuelling point and this rather delightful set of signals. 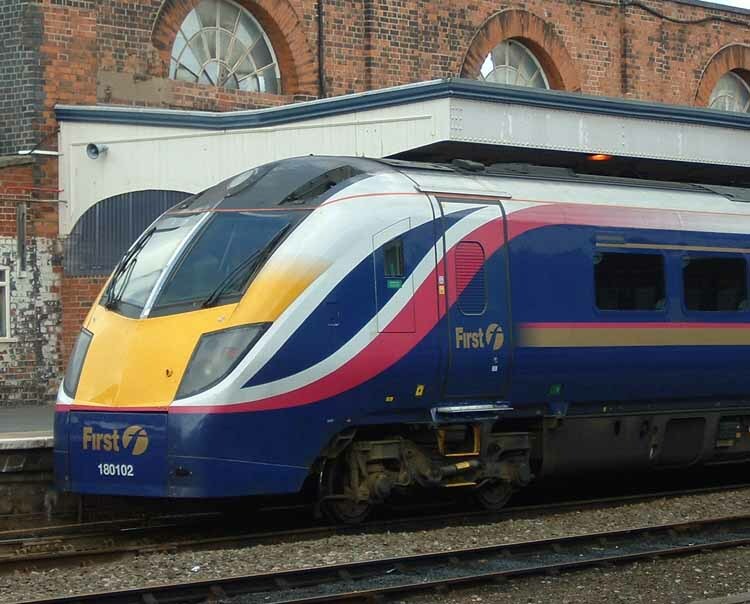 On 1st April 2004 the Thames Trains franchise was taken over by First Group and rebranded as 'First Great Western Link'. 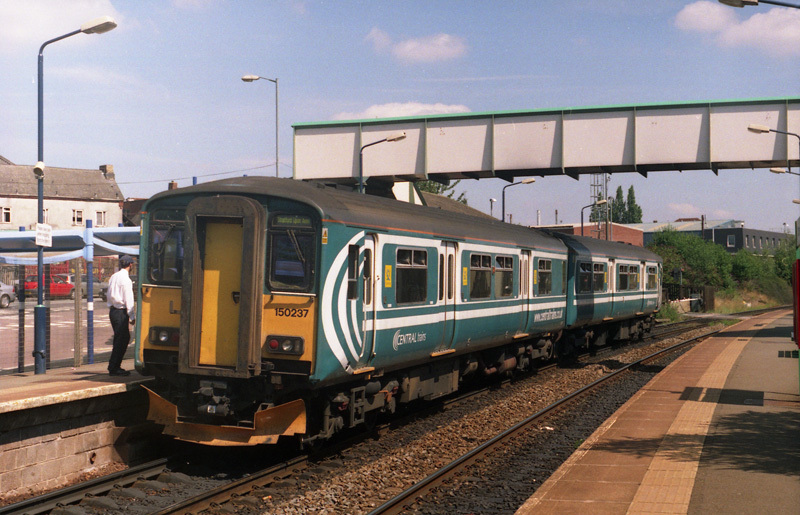 In 2004 Wessex Trains extended some of its long distance services to and from Great Malvern instead of terminating them at Worcester as previously. Thus Great Malvern gained services to Brighton and Weymouth. First Great Western 5-car dmu No.180102 is at platform one at Worcester Shrub Hill. The train is the 11:07 to London Paddington via Cheltenham service. The photograph was taken on 10th June 2004. More photographs taken on this date. 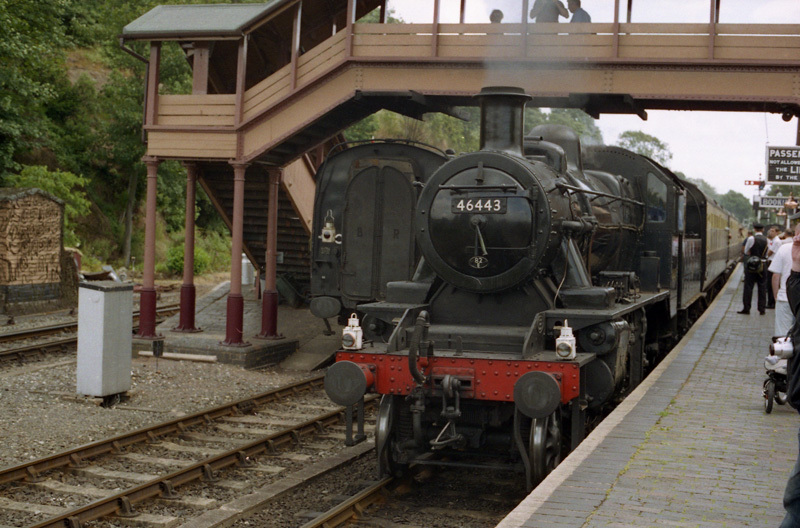 Complete with an 82E (Bristol Barrow Hill) shed plate is Ivatt designed 2-6-0 tender locomotive No.46443 at the head of a Bridgnorth bound passenger train on 27th June 2004. 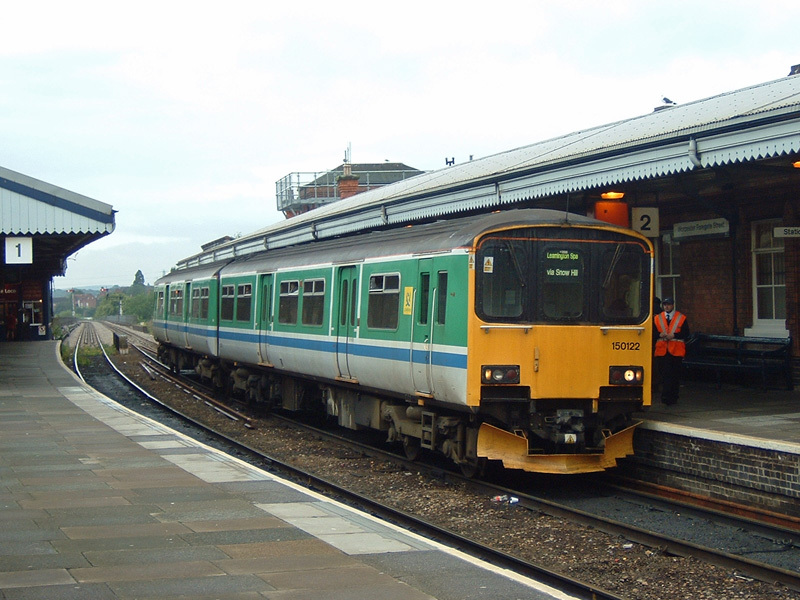 Centro livery class 150 diesel multiple unit No.150122 is seen arriving at Worcester Foregate Street Station on a service to Leamington Spa on 16th July 2004. The nameplate of BR built 'Castle' class 4-6-0 No.7033 'Hartlebury Castle' is seen on display at Hartlebury Castle in Worcestershire on 1st August 2004. This is the classic view from 'Railway Walk' down into Worcester Engine Sheds. Diesel multiple units of classes 153, 170 and 158 are on shed whilst a Centro livery class 150 unit passes on a passenger train. The photograph was taken on 22nd January 2005. Another class 150 unit is in Worcester Shrub Hill Station. 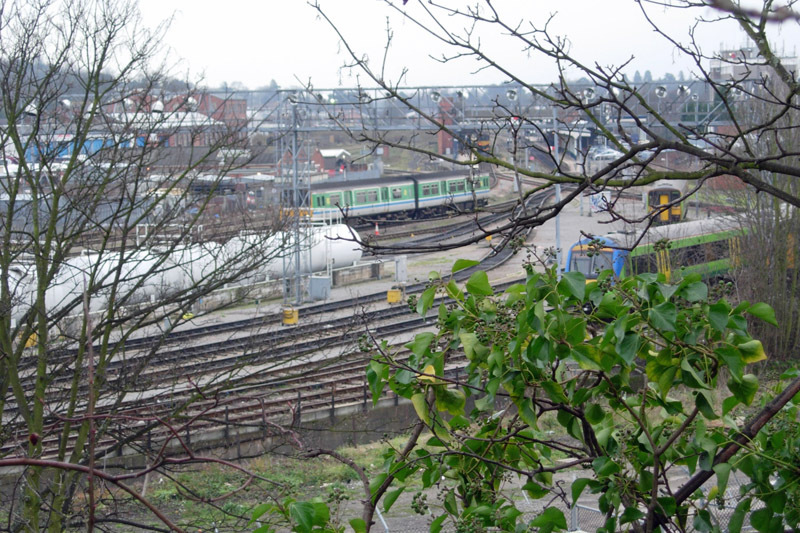 The town of Cradley is in Worcestershire but the adjacent Cradley Heath Station is in Staffordshire. Confusingly the station was originally called Cradley. This photograph shows class 150 diesel multiple unit No.150237 on 8th August 2005. The unit is in Anglia Trains livery with Central Trains logos added.